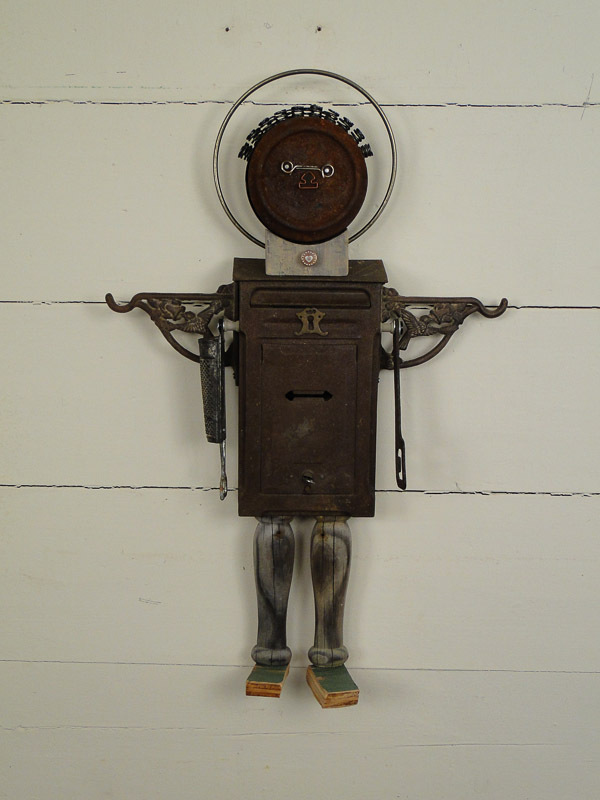 I was inspired by this old rusty mailbox - just like the one that was on my house when I was growing up. The brackets for wings just seemed to go with it. And if you open the door with the key, there are hearts inside!